Return, Revive, Repair, Restore | Dedicated to awakening the Church to its calling in Christ. As we considered Noah’s faith in our last post, we learned he lived his faith out in setting himself apart from the world he lived in, as well as setting himself wholly apart to God and for his purpose (basic definition of sanctification.) The result of his obedience was to increase the disdain the world had against Noah and all that he loved and lived for. Today we will discover that the expression of our faith is seen in the same Noah’s was apparent: in our being be set apart from the world and set apart unto God. The Christian’s lived out experience of faith creates an environment and experience with the world, that is not that different than the experience of Noah. When we first discussed Noah, in the last blog, we discovered that before the call to build the ark, for the purpose of being saved from the coming judgment, Noah was already separated from the world. From His great grandfather to his grandfather, and father (Enoch, Methuselah and Lamech), Noah’s family avoided worldly entanglements. Enoch’s vision of the coming judgment, as well as his vision of the judgment at Christ’s return, was the word of God they all held onto in faith. Therefore they obeyed God’s call to seek Him, and make atonement for their sins. They lived a life seeking to be obedient to the Creator and were justified by faith. We, in Christ, are called to the same. When we believe that our sin was laid upon the Lamb of God Jesus Christ (when He was tortured and crucified), as our final all sufficient Atonement, we are called to repent. This repentance is seen in the continual action of our setting ourselves apart from the world. Once more this is not saving ourselves, but being saved by grace, through faith in who Jesus is and what He accomplished in His cross and resurrection. Yet, if our is faith is real, it is not passive but actively obeying Christ, as He leads us; first in setting ourselves apart from the world. For Noah, his decision caused him to stick out like a sore thumb. 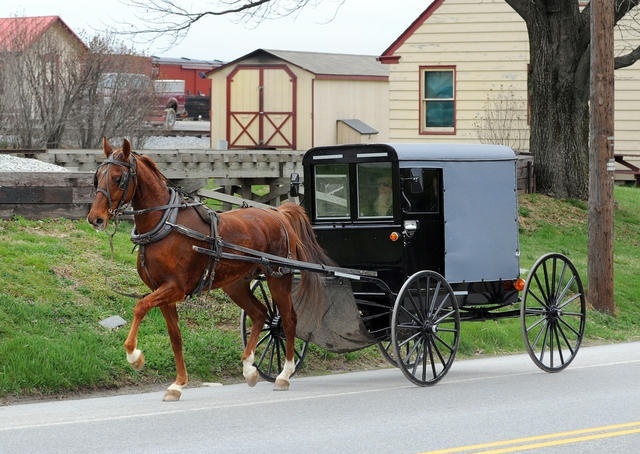 As the only man considered righteous by faith, in his generation, he must have looked as out of place as an Amish horse and buggy trotting down the middle of 5th Avenue in New York City. Noah’s standing out as different is not any different than what we are called too in Christ. Consider some scriptural truth. 1 John 2:15-17 15 Do not love the world or the things in the world. If anyone loves the world, the love of the Father is not in him. 16 For all that is in the world—the lust of the flesh, the lust of the eyes, and the pride of life—is not of the Father but is of the world. 17 And the world is passing away, and the lust of it; but he who does the will of God abides forever. 2 Corinthians 6:14 – 7:2 For what fellowship has righteousness with lawlessness? And what communion has light with darkness? 15 And what accord has Christ with Belial? Or what part has a believer with an unbeliever? 16 And what agreement has the temple of God with idols? For you are the temple of the living God. As God has said: “I will dwell in them and walk among them. I will be their God, and they shall be My people.” 17 Therefore “Come out from among them and be separate, says the Lord. Do not touch what is unclean, and I will receive you.” 18 “I will be a Father to you, and you shall be My sons and daughters, says the Lord Almighty.” ​1 Therefore, having these promises, beloved, let us cleanse ourselves from all filthiness of the flesh and spirit, perfecting holiness in the fear of God. What does perfecting holiness in the fear of God look? It looks like a person whose desire and choices lead growing more separated from the world system and its influence daily–and not being led by your flesh (old man) or being knocked over in temptation, being fooled by the devil. Remember that last one is not necessarily a temptation to be overtly perverse, commit a murder or inject heroine. Big falls come because of a series of little compromises with what may be lawful, but is not expedient to grow in holiness or in faith (I Corinthians 6:12). Let’s massage this a bit further with another often overlooked passage of scripture. 1 Peter 4:1-5 ​1 Therefore, since Christ suffered for us in the flesh, arm yourselves also with the same mind, for he who has suffered in the flesh has ceased from sin, 2 that he no longer should live the rest of his time in the flesh for the lusts of men, but for the will of God. 3 For we have spent enough of our past lifetime in doing the will of the Gentiles—when we walked in lewdness, lusts, drunkenness, revelries, drinking parties, and abominable idolatries. 4 In regard to these, they think it strange that you do not run with them in the same flood of dissipation, speaking evil of you. 5 They will give an account to Him who is ready to judge the living and the dead. In light of this let us consider the general status of affairs for a person who will not waffle on the issue of life, when it comes to abortion or euthanasia–or the person who refuses to make adjustments to God’s view of human sexuality–or speaking that Jesus is their Savior, even if they don’t know fully what that means. Consider these dear folks won’t be party to lewd conduct, or drunkenness, or the working to live their life to their own design of pleasure and comfort. Even though all these things can be done in relative silence, without open testimony, the world still sees those choosing God’s moral path as weirdo’s and irritants. That being said don’t be a silent witness to Christ. Even if you say nothing, if we don’t partake in the world, even our silence infuriates them. Yet, the meaning of our being set apart from the world goes deeper. Consider the person, who does not get riled up or involved in any political anxiety or arguing–a person who is not waiting to run to the theater for the next blockbuster that is not rated R–a person who does not care nor orders his life around sports or entertainment–a believer in Christ who cares nothing for Facebook or media platforms–a person who does not have a smart phone because of the risk of time wasting, distractions or falling into sin (Ephesians 5:15-17)–a person who’s only connection to the world is to see it through the word of God, treating it as an infectious disease, he does not want to contract, but desires others to be healed from. You show me a person like that and I’ll show you one, who like Noah, is set apart from the world. I’ll also show you one who is even ostracized in the church in these United States, as being one to avoid as legalistic, when nothing could be further from the truth. When we, like Noah, make the choice to live for Christ setting ourselves apart from the world, we do not get to decide what we want to commune, fellowship or link with. Because in addition to being set apart from the world, we are called to be set apart unto God and His purpose alone. Hebrews 11:7 7 By faith Noah, being divinely warned of things not yet seen, moved with godly fear, prepared an ark for the saving of his household, by which he condemned the world and became heir of the righteousness which is according to faith. For well over one hundred years, Noah not only preached of judgment to come, but built an ark, as a visible sign that those who chose to live apart from God would meet His wrath, in the flood. For many of us, being totally set apart to God for 10 minutes is a major impossibility, but can you imagine the self-discipline Noah exercised, for over 100 years, doing God’s without one convert to your cause? This means that every day, he did what God commanded, as a 24/7 over a loud speaker message of condemnation. In Christianity in America we go out of our way to convince people of God’s love, with out the bloody cross, without speaking about sin and without speaking of the coming judgment. Some would declare, “we preach God’s love” and I would say Amen, but that must be seen through the blood stained cross of Christ. One of the chief means to understand that love, is to know what we are being saved from: an eternal flood of God’s wrath rightly executed against those who reject God’s totally sufficient and true ark; the Lord Jesus Christ. 1 Peter 3:18-22 For Christ also suffered once for sins, the just for the unjust, that He might bring us to God, being put to death in the flesh but made alive by the Spirit, 19 by whom also He went and preached to the spirits in prison, 20 who formerly were disobedient, when once the Divine longsuffering waited in the days of Noah, while the ark was being prepared, in which a few, that is, eight souls, were saved through water. 21 There is also an antitype which now saves us—baptism (not the removal of the filth of the flesh, but the answer of a good conscience toward God), through the resurrection of Jesus Christ, 22 who has gone into heaven and is at the right hand of God, angels and authorities and powers having been made subject to Him. Simply put, Noah’s ark, points to God’s true ark: the Lord Jesus Christ. Baptism is an anti-type or an action that sufficiently illustrates the redeemed person has come through God’s wrath (signified by water of baptism); by repentance and placing their life and eternity in Christ, by faith. We could spend hours discussing the significance of this truth, but for our purpose it is enough to say, that every truly redeemed person is also to be set apart to God and for His purposes completely. Simply being in Christ, like Noah’s actions to build and get into the ark, pronounces the world around us as condemned. Therefore, being in Christ is not a mere profession that I have been saved, but a life in which its actions reveal the full message of the gospel. This begins for most with baptism. Consider that in Iran, if one begins to look for information of Christ Jesus or even attend a bible study, they are generally left alone. The moment one gets baptized, they literally have potential for imprisonment, torture or death. Why? Their lives, now seen by the world as being in Christ, brings condemnation on Islam’s satanic message of death. With hatred they respond, as Jesus told us the world responds to any who follow Him in truth. We are the message of condemnation against them, because they love darkness rather than light (John 3:17-20). As we consider this, during Resurrection Sunday weekend, let us grasp the weight of the life and words of the One, who more than Noah, was set apart; our Lord Jesus Christ. John 15:18-22 18 “If the world hates you, you know that it hated Me before it hated you. 19 If you were of the world, the world would love its own. Yet because you are not of the world, but I chose you out of the world, therefore the world hates you. 20 Remember the word that I said to you, A servant is not greater than his master.’ If they persecuted Me, they will also persecute you. If they kept My word, they will keep yours also. 21 But all these things they will do to you for My name’s sake, because they do not know Him who sent Me. 22 If I had not come and spoken to them, they would have no sin, but now they have no excuse for their sin. We are not of the world. Let all who would claim to be children of God in Christ Jesus, commit to live like Jesus, submitting the outcome our master prophesied and in joy rejoicing that we are counted to stand out and suffer if need be for His sake (Acts 5:41). Jesus alone is worthy and the world still needs the good news our message brings: That God’s wrath is near and upon all who live apart from Christ, but His mercy is found in Christ Jesus, the TRUE and LIVING ARK. (Hebrews 11:7) 7By faith Noah, being divinely warned of things not yet seen, moved with godly fear, prepared an ark for the saving of his household, by which he condemned the world and became heir of the righteousness which is according to faith. Although Hebrews 11 is a record of the faith and actions of well known saints from the Old Testament, the chapter is much more than a faith hall of fame. This chapter, perhaps, shows better than any in the New Testament, how these O.T. saints possessed their “own vessel in sanctification and honor” (I Thessalonians 4:2-4). In Noah we find a familiar story, which as we dig deeper, will exhibit not only faith, but the result of all true faith, which is to be set apart. In this we must be careful, for in America the church would rather prove out the dimensions of the ark itself, or the viability of a world-wide flood account, than learn of the radical faith and action of a servant of God. This we have done, at times to the detriment of the Gospel itself. One need not look far to find that even secular scientists are beginning to accept that the flood is a fact. One need not be an anthropologist to discover that most cultures world over, aside from science, have accounts of the flood that appear similar to the biblical account. Despite these facts, it should not matter to us what the world believes or uses in error to attempt to overturn the truth. Even if no one else believes the truth, we ought to because God’s Word declares it! Faith like that is very much like the faith of Noah, for no one believed him either, as all were against God’s word, will and servant. The Great Flood is more important for what it reveals to us concerning faith and how one is to respond in any age, by setting themselves apart from the world and unto God and His will alone. This is also not forgetting what the ark and Noah and his family reveal to us, concerning Christ and those who follow Him (more on that later). Our passage begins with the phrase “By faith Noah”. Everything we will discuss arises from Noah’s real justifying and saving faith. From this same chapter we know that “faith is the substance of things hoped for and the evidence of things not seen”. The substance of hope, was the word God spoke concerning the flood and His instruction to Noah to build the ark. This was his hope being that it was 120 years away (Romans 8:24) and that like His God his own heart was grieved over the wickedness of the world. Now faith is not only the substance of things hoped for (and yes Noah hoped for the promise of the flood to come to pass) but also the evidence of things not yet seen. This evidence is not only the witness of God’s Holy Spirit, but a legacy of God fulfilling His promises among Noah’s father, grandfather and great-grandfather Enoch. Great-grandfather Enoch not only received revelation concerning the flood judgment soon coming, but also of the second coming of the One who would destroy ungodliness for ever (Jude 14-15). This man walked so carefully and closely with God, in a wicked generation, that God translated him to heaven, without dying (Genesis 5:24; Hebrews 11:5). Having seen Noah’s faith in what he believed concerning God and His word, we must consider that his faith was not a passive declaration, but an active obedience. True biblical and saving faith is not just believing a set of truths promised, but living that faith out in actions reflective of what is believed. Vines Expository Dictionary of N.T. words defines the Greek word for faith in our passage as “conviction producing full acknowledgement of God’s revelation, leading to personal surrender to Him, with conduct inspired by such surrender”. In layman’s terms this means biblical faith produces biblical obedience and actions. Without the corresponding actions, the faith is either dead or not real faith at all. (Genesis 6:5-9) 5 Then the Lord saw that the wickedness of man was great in the earth, and that every intent of the thoughts of his heart was only evil continually. 6 And the Lord was sorry that He had made man on the earth, and He was grieved in His heart. 7 So the Lord said, “I will destroy man whom I have created from the face of the earth, both man and beast, creeping thing and birds of the air, for I am sorry that I have made them.” 8 But Noah found grace in the eyes of the Lord.9 This is the genealogy of Noah. Noah was a just man, perfect in his generations. 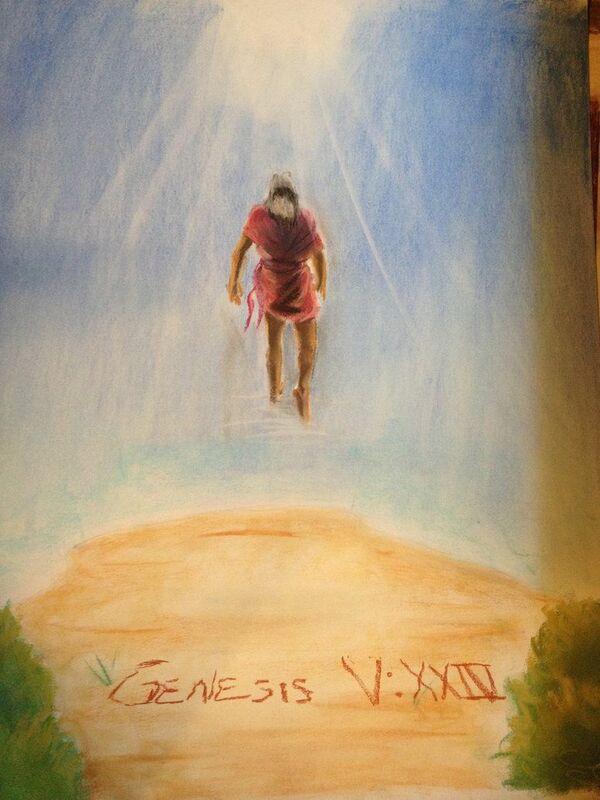 Noah walked with God. Genesis 7:1 ​1 Then the Lord said to Noah, “Come into the ark, you and all your household, because I have seen that you are righteous before Me in this generation. Three words must be considered in dealing with Noah’s faith: just (justified or not guilty), perfect (blameless) and righteous (just or vindicated by God). Remembering that all men, including Noah, have sinned and fallen short of God’s glory, we understand that Noah’s being described as “perfect” was not moral perfection. When read in the context of the other two words (just and righteous), just Noah’s descendant Abraham would later believe God and God would credit him with being righteous and just (not guilty based on his faith); so Noah was also blameless in the same way as his ancestor. Noah did not practice sin as his disposition, but when he did sin, he would make atonement, which pointed to the One who is the final and all sufficient Atonement, Jesus Christ. Despite this truth, we are once more reminded that Noah’s faith was not a passive belief, where he waited for the promise to come to pass; he had to move according to his faith. In fact this is why he was chosen by God. Noah would have to live as the only godly man, steering his family in the God’s direction, when the entire world and all the fallen were against him and his God. Imagine being the only Christian in your city. The ONLY ONE, which means: you have no church to attend, no bible store to get materials for your growth or encouragement, no other Christians to pray for you or with you. Imagine all your neighbors, not only being cynical about your activities, but looking to catch you reading your Bible, sharing your faith or simply teaching your children about Jesus Christ. Imagine, that your neighbors investigations are not for the purpose of mockery, but to be able to rat you out to the government. Imagine going to the local market and being told your money is not good there, because you’re a Christian. You say impossible, but this is the lot for tens of millions of Christians worldwide in our day, as well as the life for all who would follow Almighty God and His Christ. (Hebrews 11:35-38) 36 Still others had trial of mockings and scourgings, yes, and of chains and imprisonment. 37 They were stoned, they were sawn in two, were tempted, were slain with the sword. They wandered about in sheepskins and goatskins, being destitute, afflicted, tormented— 38 of whom the world was not worthy. They wandered in deserts and mountains, in dens and caves of the earth. This was also the lot of Noah. Remember that in his day every intent of the thought of man’s collective heart was only evil continually (Genesis 6:5). The world of Noah, was contrary to every fiber of His God given faith. In order for him to live that faith, he needed total separation from depending on provision, security, and comfort from the world, its system and culture, while, living in the midst of it. In addition to this, Noah’s faith demanded he be set apart to God and His purposes. He needed to deny even his own desires. This he did, before God spoke to him personally. After God’s word came, concerning the flood, his being set apart took on a new dimension. If we thought Noah was ostracized for his faith in God before he commenced construction on the ark, imagine the onslaught afterward. 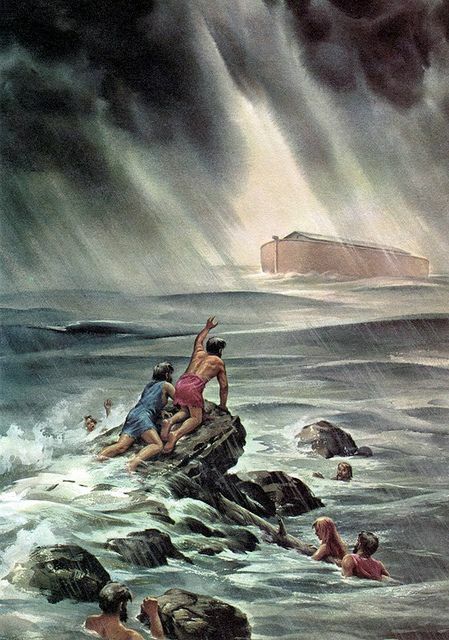 Consider that Noah was told to build a floating fortress to save his family from a flood, in the middle of a landlocked region. Consider that this flood was to come about largely because of rain (yes and the breaking of the fountains of the great deep), when it had either never rained or rained very little, before they got into the ark (Genesis 2:5; Genesis 7:4). 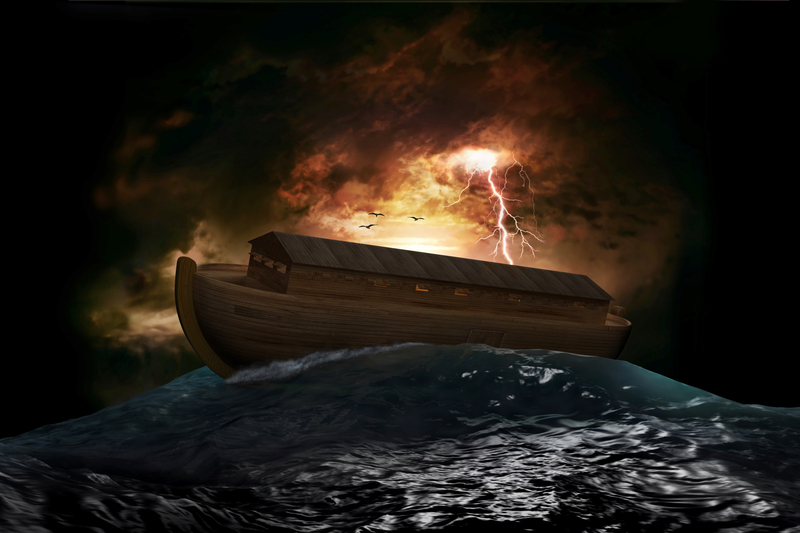 To Noah’s generation the ark must have seemed completely laughable as well as an unnecessary judgment on their lifestyle from a raving madman, who thought he heard from God. Their ridicule and persecution must have been amplified beyond our comprehension, but Noah was dedicated to God no matter what. Therefore his righteous actions, not only made him the heir of righteousness according to faith, but also a herald of the lost world’s condemnation. Noah’s faith and actions are no less relevant for us today. We are called to set ourselves apart from the world completely–set ourselves apart for God and His purposes in Christ alone– and the very obedience we walk in, will condemn the lost world around us, who reject Christ’s call to repentance. In the next article, we will explore how our life for Christ parallels that of Noah. You’ll not want to miss it. (John 15:18-21) 18 “If the world hates you, you know that it hated Me before it hated you. 19 If you were of the world, the world would love its own. Yet because you are not of the world, but I chose you out of the world, therefore the world hates you. 20 Remember the word that I said to you, A servant is not greater than his master.’ If they persecuted Me, they will also persecute you. If they kept My word, they will keep yours also. 21 But all these things they will do to you for My name’s sake, because they do not know Him who sent Me. John 17:14-19 I have given them Your word; and the world has hated them because they are not of the world, just as I am not of the world. 15 I do not pray that You should take them out of the world, but that You should keep them from the evil one. 16 They are not of the world, just as I am not of the world. 17 Sanctify them by Your truth. Your word is truth. 18 As You sent Me into the world, I also have sent them into the world. 19 And for their sakes I sanctify Myself, that they also may be sanctified by the truth. In my last post, we discussed the meaning of holiness and how we begin to walk in character consistently growing in the holiness of Christ. This progressive action, being more and more holy, is what we call sanctification. Our passage above reveals a little known truth about Jesus our Savior. Although He was, is and always will be the epitome of the word holy (being the fullness of God in bodily form), He still sanctified Himself so that His disciples (and we through their lives and ministries) would know how we are to sanctify ourselves. Remembering that we are vessels, for God’s purpose alone, we must keep ourselves in the process God ordained to make us more and more holy. From the passage above, a good beginning in defining sanctification, is revealed in Jesus praying, “They are not of the world, just as I am not of the world“. In this we understand, that the follower of Christ, by faith and the power of the Spirit, are born into the kingdom of heaven and no longer fit within the world system. Therefore, sanctification is to separate ourselves from that which is evil and worldly; the world, the flesh and the devil. Secondly Jesus says, “Sanctify them by Your truth“. This is not just reading the word of God, but the word of God being illuminated and assimilated into our souls by the Holy Spirit. This is the second part of the meaning of sanctification, which is to be separated unto God and dedicated to His purpose, as revealed by the word of God (as illuminated by the Holy Spirit). In Jesus life we see five practices, which detail how He sanctified Himself, even though He was and is the definition of holiness. He shows us how to be and stay separate from the world, the flesh and the devil. He also shows us how to be set apart for the Father’s will. 1) (JESUS REFUSED TO EXERCISE ANY SELF-WILL) In John 5:30 Jesus declared that He did not seek His own will, but that of His Father only. This is very important to understand right from the start, for it dictates every and all decisions. We see the Lord’s absolute commitment to His Father’s will in Philippians 2:5-8. Philippians 2:5-8 5 Let this mind be in you which was also in Christ Jesus, 6 who, being in the form of God, did not consider it robbery to be equal with God, 7 but made Himself of no reputation, taking the form of a bond-servant, and coming in the likeness of men. 8 And being found in appearance as a man, He humbled Himself and became obedient to the point of death, even the death of the cross. Make no mistake about it, to be a bond servant means one has no will of their own, but lives a life in servitude to another. So great was Jesus’ commitment, He who is God the Living and eternal Word, emptied Himself of reputation, will and prerogative (for a time), in order to accomplish his Father’s plan. This means Jesus exercised self denial as a character trait. Therefore, we must learn to do the same in order to live our best life now. Luke 9:23-24 “If anyone desires to come after Me, let him deny himself, and take up his cross daily, and follow Me. 24 For whoever desires to save his life will lose it, but whoever loses his life for My sake will save it. In prayer ask the Lord to lead you to begin a practice of self-denial when it comes to your will. The next two points will give you some hints. 2) (JESUS SPOKE ONLY WHEN THE FATHER DIRECTED HIM) Controlling our tongues may be one of the most impossible tasks on the planet (James 3). Yet in Jesus we see how a person, who is filled with the Spirit, does control their tongue. Jesus only spoke what He was commanded to speak. No wasted words, no idle talk, no course jesting, every word seasoned with grace (even the necessary harsh ones), all spoken with intentional purpose. To be set apart for God’s purpose, we, like our Master, must learn to speak only for the purpose of God. In the family, in which I grew up, everyone believed they were entitled to an opinion. This is also the way of the world, but the Christian understands that only speaking as led by the Spirit, is necessary and good. Ministers are especially responsible for this. 2 Corinthians 3:5-6 5 Not that we are sufficient of ourselves to think of anything as being from ourselves, but our sufficiency is from God, 6 who also made us sufficient as ministers of the new covenant, not of the letter but of the Spirit; for the letter kills, but the Spirit gives life. Here we see that speaking the word of God, without the unction of the Spirit, can be detrimental. By this account many of us should really consider whether or not we are ministering under the unction of the Spirit–whether we are preaching the truth, or our option of it. 3) (JESUS DID ONLY WHAT HE WAS COMMANDED TO DO) In line with Jesus only speaking what He was commanded too, we also know that He only did the things he was commanded to do; once more never moving to express what He thought was the right thing to do. John 5:19 19 Then Jesus answered and said to them, “Most assuredly, I say to you, the Son can do nothing of Himself, but what He sees the Father do; for whatever He does, the Son also does in like manner. This is a most remarkable statement, but plainly seen. Recall some of the miracles Jesus performed. Now consider one He did not. In Acts chapter three we meet a man who was lame from His mother’s womb, who had been daily laid at the Temple Gate called Beautiful. We know, due to the age of this man, that Jesus would have passed Him many times on His treks through the temple, over His ministry years. Why would He not heal this man? Because He was not commanded to do so. We know God’s day of visitation for healing would come thoroughfare faithfulness ministry of the apostles. There is an old adage that we like to repeat in dealing with the evil of this world “The only thing necessary for evil to win, is for good men to do nothing”. I like this statement, but it is not biblical. There are no good men born into the world, but sinners; and sinners and the redeemed have done lots of good things, yet it still looks like evil is winning. This is also a fallacy for we know that God is the VICTOR and He will set all things right at Christ’s return. The point is we need to stop doing good things and do what the Holy Spirit commands. This is what it means to be set apart for His purpose. We ought to rather do the one thing He commands and provides power for, than five or five-thousand good things, which will never make an eternal impact upon humanity, nor further God’s will. 4) (JESUS’ JOY AND EMPOWERMENT CAME FROM DOING ONLY GOD’S WILL) As is often the case when we get hooked into a conveyor of good things we ought to do, we begin to lose the vitality of the Spirit, for we are not ministering or living under His leadership. We ought to challenge ourselves often to endeavor to apply Proverbs 3:5-, literally. The reason for this need, is that true ministry for Christ, beyond our human capcity and strength. It will wear is down, for sure, when not led by the Spirit. For Jesus, being tired or hungry was never a hindrance to ministry, for His being set apart perfectly for his Father’s purpose (Sanctify Myself), was what gave him sustenance. John 4:34 34 Jesus said to them, “My food is to do the will of Him who sent Me, and to finish His work. Jesus sanctified Himself, by being concerned with intentionally finding His joy and sustaining power, in completing the work God sent Him into the world to do. This jibes well with what we know of the power of God’s Spirit in us. The work of God is beyond our human ability to accomplish, for it is supernatural. This work will tax our physical, emotional and spiritual frame (I Thessalonians 5:23). Yet in this, so long as we rejoice in our infirmities, the power of Christ will rest upon us (II Corinthians 12:9). Our common humanity lines up more with the world, which wants to bank and add more strength, skill, ability, degrees, and any other thing to call upon, in accomplishing what we want, rather than learn to be led by the Spirit. Will we wait on the Lord until we know He is leading and empowering? 5) (REMEMBER LIKE JESUS OUR LIFE IS NOT OUR OWN, WE’RE BOUGHT) When looking once more at Philippians 2:5-8, we will see one more aspect of how He “sanctified” Himself. Jesus “made Himself of no reputation“, “took upon himself the form of a bond-servant“, and “became obedient to the point of death, even the death of the cross“. Jesus Christ, the eternal Word of God, in human flesh, loved a life that was not His own; He lived a as will-less bond servant. In this, let us be reminded, OUR LIVES ARE NOT OUR OWN! 1 Corinthians 6:19-20 19 Or do you not know that your body is the temple of the Holy Spirit who is in you, whom you have from God, and you are not your own? 20 For you were bought at a price; therefore glorify God in your body and in your spirit, which are God’s. Wow! Did you read that? Your life does not belong to you, nor does mine belong to me. If we are in Christ, we are His bond-slaves! For some this may seem too high a price to pay, but remember the price with which you were bought… HIS Blood was the purchase price (Colossians 1:13). Re-read Philippians 2:5-8 and understand that His death on the cross was 20 hours of a blood letting that began the prior night, when He prayed in agony, concerning the price He would pay. His suffering would culminate in the excruciating agony of the cross as detailed in Isaiah 53:5... “He was wounded for our transgressions, bruised for our iniquities, the chastisement for our peace was upon Him and by His wounds we are healed“. When reading this passage it is easy to forget, that each of the above words, “wounded’, “bruised”, “chastisement” and “wounds” (more correct rendering is”stripes”), came from blows which makes blood flow, either beneath the surface of the skin or through open wounds. The cost of our redemption of every drop of life, which poured, forth from wounds we deserved, yet He willingly suffered. This He did to complete the Father’s eternal plan, so we could be forgiven, transformed now and guaranteed eternal life with Him. When considering the high cost of our lives not being our own, think of the cost the King of glory paid for us. In response, then sanctify yourself, as Jesus did, the BEST LIFE ever, living a pattern that should we follow it, will give us our best life now. Beleaguered members of the Early Rain Covenant Church have continued to experience persecution since their church was closed and more than 100 members arrested in December 2018. While most of those arrested have been released, several key leaders remain in prison, including Pastor Wang Yi. And now the persecution has expanded to church members’ workplaces and homes. Xu Miaozhuang, wife of one of the church’s imprisoned elders, was evicted from her home in February along with her four children. Another church member, Pan Fei, was fired from his job and forced to sign a resignation form. On the letter of resignation, Fei wrote, “For believing in Jesus Christ, the only Son of God and Savior of mankind, my employment with Yonghui Superstore has been terminated.” Pray for Pastor Wang Yi, Miaozhuang, Fei and the other Early Rain members affected by ongoing persecution. In recent years many books have been written concerning how a Christian can live their best life now. Some of these books have some marginally good things to say, but they miss the core of what is the best life for the Christian. What is the best life for the Christian? To live in the center of the will of God, of course! Simply put, the word sanctification and it’s various forms (sanctify, sanctified) means to be set apart from evil and unto God for His purposes alone. In the context of I Thessalonians 4:3-4, our being called to possess our vessels in sanctification and honor, is a reference with a picture; that picture is the holy vessels of the temple. Remember these vessels were set a apart for one purpose, no matter if it was the menorah, candlestick, cup, pitcher or basin (among hundreds of others). These vessels were to be used for the only purpose they were created for and when not used they had to be cleaned and prepared to be used. Concerning our sanctification, this means that we are set apart for god’s purposes alone, not to be used for anything other than His will–we are also to be being cleansed from the influence of the world, our flesh and the devil. The word sanctification and its various forms is intimately connected with a word that also too often causes adverse emotional reactions in American Christians. ; the word holy and all its forms. I Peter 1:15-16 gives us further clarity. When examining the Greek words used for both “sanctify” and “holy” we find they are actually of the same root word. The word holy speaks to our position in Christ, based on our being justified by the blood of Christ, as well as our calling to live a life of holiness daily. Two passages of scripture reveal this monumental truth. 2 Corinthians 5:21 21 For He made Him who knew no sin to be sin for us, that we might become the righteousness of God in Him. Romans 5:8-11 8 But God demonstrates His own love toward us, in that while we were still sinners, Christ died for us. 9 Much more then, having now been justified by His blood, we shall be saved from wrath through Him. 10 For if when we were enemies we were reconciled to God through the death of His Son, much more, having been reconciled, we shall be saved by His life. 11 And not only that, but we also rejoice in God through our Lord Jesus Christ, through whom we have now received the reconciliation. In the shedding of Christ’s blood on our behalf, our sins were washed away, and we for all time and eternity are counted justified or “not guilty” for our sin, so long as we continue in the faith. In this we are holy, as if we have never sinned. This does not mean we will never sin again, but that the basis for our once for all forgiveness has been met in Christ’s once for all sacrifice (I Peter 3:18). We are glad that when we fail in the Christ life, we have an advocate with the Father, Jesus Christ, and so long as we confess our sins, He is just and faithful to forgive them and cleanse us from the unrighteousness. This is the first aspect of our being holy. The second aspect of our being holy is the truth communicated in the statement “be holy, for I am holy“. When looking at the words being used, it conveys that the person is not only holy in God’s sight, but is to be practically, progressively more clean and Christ-like with each passing moment. This is where the word sanctification comes into view. 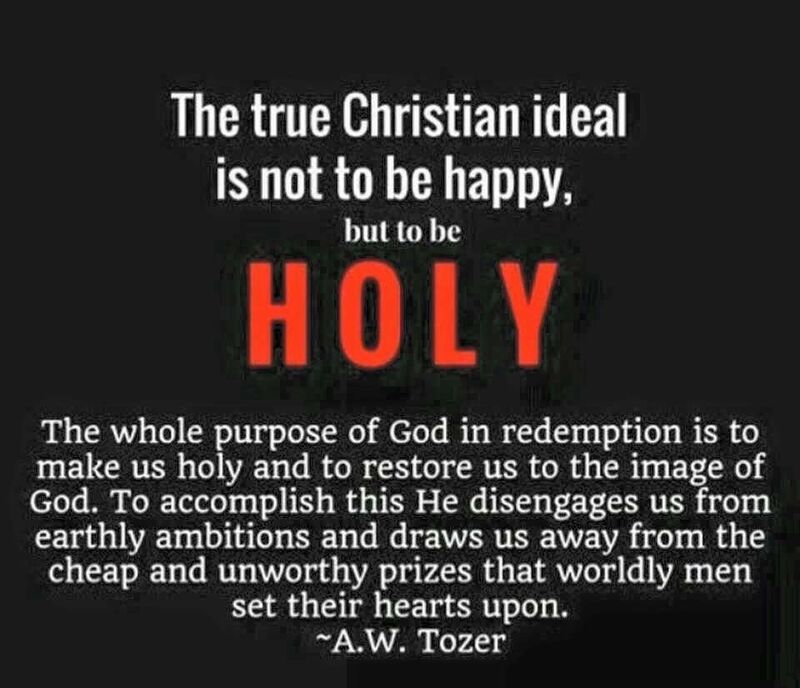 As “holy” is to be our positional character, “sanctification” is the process by which holiness becomes our practical character and life expression. God of course has the largest and most supernatural part, for Christ is the Sanctifier (I Thessalonians 5:23), but our part is to possess our vessel in sanctification and honor. Our best life now is to be holy in character, submitting to the Holy Spirit’s leading us into greater and more consistent love, joy, moral purity, peace, power in the Spirit, righteousness and grace. This sounds wonderful, but too often, we want in error to see holiness as a behavior list, only. In this manner many get frustrated and quit. In the first place this error often degenerates into religious self effort, where we accept “doing the list”, as being righteous. This error is the reason Paul was inspired by the Holy Spirit to write Romans 6-8 (especially chapter 7). Let’s always remember, no matter how high the quality of ones moral character, apart from Christ, it means nothing. Our righteousness is not our own, but Christ’s imputed to us by faith. According to Galatians 2:20, the righteous life and actions that come from our lives, are not even ours, but Christ living them in and through us, as we submit to the Holy Spirit. Secondly this error can degenerate into defeated Christians, who feel they are second class citizens, not being able to overcome. In both cases it leaves out the Holy Spirit as the one who brings our best life now. This is where we will settle to explore a bit further; finding how to live this best life: one of holiness without which none will see the Lord (Hebrews 12:14). In this let us remember that the best example of our best life now, is the life of our Savior Jesus Christ, who shows us how we are to live in complete dependence on the power of the Holy Spirit. To say that our Lord Jesus Christ is holy is to admit the obvious. He is the Holy Anointed One, the Alpha and Omega, the expressed image Person of and brightness of the glory of God, who is a consuming fire. In the days of His first incarnation, He was the epitome of holiness, which was surprisingly down to earth and drawing to the most vile of sinners. It might surprise you to know that Jesus shows us what it means to be sanctified. This seems contradictory to His holiness but is not at all. 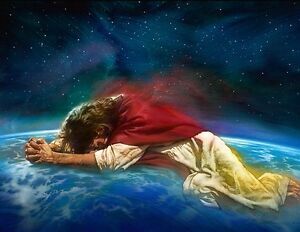 John 17:15-19 I do not pray that You should take them out of the world, but that You should keep them from the evil one. 16 They are not of the world, just as I am not of the world. 17 Sanctify them by Your truth. Your word is truth. 18 As You sent Me into the world, I also have sent them into the world. 19 And for their sakes I sanctify Myself, that they also may be sanctified by the truth. In our next post, we will explore the ways Jesus Christ our Lord sanctified Himself in being practically powerfully holy, as a model for us to be able to live obeying His command, “be ye holy, for I am holy”, which is the pathway to living our best life now. Below is an article published in the Christian Post by Leah MarieAnn Klett, concerning comments John Piper made dealing with the rise of Christian’s being addicted to entertainment and devices. According to the first-quarter 2018 Nielsen Total Audience Report, American adults spend over 11 hours per day listening to, watching, reading or generally interacting with media. As a pastor it has been my experience that among those I have ministered to, many fall within these numbers. God help us, our addiction is killing our sensitivity to the Holy Spirit. For those seeking to break the cycle of their entertainment addiction, theologian John Piper argued that Jesus’ command to “tear out the eye that causes you to sin” can be applied to devices too. In a recent podcast, Piper, chancellor of Bethlehem College & Seminary in Minneapolis, Minnesota, responded to a listener identified as Cesar, who said he cannot break his addiction to video games. Piper went on to point out that Cesar is not actually “convinced” that the pleasures of entertainment do not compare to the joy that can found in communion with God. According to a 2018 study by market-research group Nielsen, American adults spend more than 11 hours per day watching, reading, listening to or simply interacting with media — up from nine hours and 32 minutes just four years ago. Previously, Piper offered five ways Christians can cultivate a greater love for God than for entertainment in today’s media-dominated culture. Recognizing it is a huge step in the right direction. Seek the Lord earnestly about it. Pray like crazy that God would open your eyes to see wondrous things out of His law. Immerse yourself in the Bible, even when you don’t feel like it, pleading with God to open your eyes to see what’s really there. Get in a group where you talk about serious things. Christian Post: Klett, Leah MarieAnn (2019, February 28) “John Piper on entertainment addiction: Jesus’ command to ‘tear out your eye’ can be applied to devices”. Recently while reading “The Book of Mysteries” by Jonathan Cahn, I was awakened to a Biblical truth I had not considered: The necessity of the wilderness in the life of the believer. The author explained that few people consider that the barren, hostile and inhospitable nature of the wilderness, is actually necessary to the proper formation of the saints. He sighted Deuteronomy 8 as evidence. Deuteronomy 8:2-5 And you shall remember that the Lord your God led you all the way these forty years in the wilderness, to humble you and test you, to know what was in your heart, whether you would keep His commandments or not. 3 So He humbled you, allowed you to hunger, and fed you with manna which you did not know nor did your fathers know, that He might make you know that man shall not live by bread alone; but man lives by every word that proceeds from the mouth of the Lord. 4 Your garments did not wear out on you, nor did your foot swell these forty years. 5 You should know in your heart that as a man chastens his son, so the Lord your God chastens you. Poor Charlton Heston… I mean Moses. But in all fairness, if you love Jesus and desire to bless Him, you have experienced times that felt like what was just described, even if you were not actually walking through an actual desert. We may not like the wilderness but as God had a purpose for Israel in their wilderness wanderings, so He does for us as well. From the passage we discover His purposes. To humble us, as are tested, that we may see what is really in our hearts, apart from Christ (vs. 2-3); which is the first stage in the progression of sanctification. To reveal God’s sufficiency and provision (vs. 2-4). These purposes are all wonderful, but let us get into a wilderness situation for any stretch of time and we see how much we really appreciate the work God intends to do in us in the wilderness. Sadly for most of us, what comes out is the whiny, complaining, selfish impatience, which stand in the way of our being more like Christ. In addition to God’s purpose in molding and shaping us the desert is also the place where we learn to overcome the devil, in the power of God’s Spirit, just like Jesus Christ the Lord. When this occurs we can walk into more than effective ministry for Christ filled with His Spirit. Luke 4:1-2 ​1 Then Jesus, being filled with the Holy Spirit, returned from the Jordan and was led by the Spirit into the wilderness, 2 being tempted for forty days by the devil. And in those days He ate nothing, and afterward, when they had ended, He was hungry. In light of this truth, let me encourage you, no matter why you are in a wilderness situation, know He is with you and should you humble yourself, our Father will accomplish His purposes. I, myself, have just recently been walking out of a wilderness period in my life. This period has amounted to multiple years, where I have been tested often–seen what is in me apart from Jesus Christ–learned the steady cadence of the leading of the Holy Spirit–learned to trust Christ’s viewpoint of me. The one last thing Christ had done in me, is to confirm what I knew from the beginning of my walk with Jesus… Love not the world, do not partake in its system of thought, recreation, or sufficiency. Live dependent on Him and pursue holiness, because He has made me holy. I have learned Christians, especially those who will lead, must not dabble in the worldview, which says we Christians need to relax and have fun as well. It amazes me, how the book of Acts, as well as the rest of the New Testament, speaks contrary to our viewpoint of what is allowed in our Christian experience. We spend hours searching for and planning how we will spend our time off, even ministers, looking for good moral ways to waste time. To assist in seeing this clearly, let’s consider that we who are in Christ are members of the body of Christ. This body of Christ is not only those who you encounter in fellowship on Sunday and Wednesday, but all the hundreds of millions of Christians around the wold. Let’s just take the hours from 7 pm till we go to bed and what we engage in. Now we Americans say I’m not sinning to watch T.V. if its not violent, sexually immoral or perverse (some we can be sure don’t even care about those standards)–we think so long as we are surfing the net, on our phone, tablet, or computer, so long as its not violent, sexually immoral, or perverse, we are fine. My time in the wilderness has reaffirmed that all of my time is His time, for His offspring are too numerous to count, and He has called us to be our brothers and sisters keepers and supporters, whether we see each other this side of heaven. God forgive me for all the time I have wasted sowing to my flesh, in ways that are not seen as overtly wicked, but waste the precious time You have allotted me. Thank You for delivering me from the corruption that sowing to the flesh produces. Thank You, galvanizing what you placed in my heart all those many years ago. Have mercy on your church in America, especially ministers who have fallen prey to walking through mine-fields of pursuit of preference and hobbies, where we waste time, and step out of the will of God. Ephesians 5:14-21 “Awake, you who sleep, Arise from the dead, And Christ will give you light.” Walk in Wisdom 15 See then that you walk circumspectly, not as fools but as wise, 16 redeeming the time, because the days are evil. 17 Therefore do not be unwise, but understand what the will of the Lord is. 18 And do not be drunk with wine, in which is dissipation; but be filled with the Spirit, 19 speaking to one another in psalms and hymns and spiritual songs, singing and making melody in your heart to the Lord, 20 giving thanks always for all things to God the Father in the name of our Lord Jesus Christ, 21 submitting to one another in the fear of God.